BUENOS AIRES, Argentina — Almost 90 years after men's soccer turned professional in Argentina, the women's game is still being played by amateur athletes who get little to no money for their work on the field. Macarena Sanchez wants to change that — now. The 27-year-old Sanchez is taking legal action against her club and the Argentine soccer association in an effort to gain professional status. The case could set a precedent in a nation that is home to Lionel Messi and some of the world's greatest players, but where soccer is still largely seen as a men's only game. "The goal is to be recognized as a professional soccer player, so it can open the doors for other women to enjoy the benefits of earning a living from what we love," Sanchez told The Associated Press. Sanchez's introduction to soccer came when she was 5, watching her father play with friends on weekends in the province of Santa Fe, the birthplace of Messi, Gabriel Batistuta and Jorge Valdano. With her father's encouragement, she polished her skills at a local club. "That year, we won the Argentine championship for the first time in the club's history," she said. "And then we won the championship three more times." Sanchez also competed in three Copa Libertadores tournaments, the premier women's event in the South American region. But on Jan. 5, she got a call from her coach — one she didn't expect. Sanchez said he didn't provide any specifics, he just said she was being let go because of a "soccer-related decision." For years, Sanchez had received a small stipend and worked an administrative job at UAI Urquiza. The news that she was no longer welcome came mid-season, so she wasn't able to join another club. After consulting with her sister, who is an attorney, she decided to launch her complaint seeking compensation and the professionalization of women's soccer. "It's not easy to be the first woman to launch legal action against the Argentine soccer federation," Sanchez said. "I've had to carry a heavy burden, but the collective goal won. It won because I want to see many girls who in the future can enjoy being professional. That's my dream." Officials at UAI Urquiza declined to comment, and the interim head of the Argentine federation's women's soccer committee could not immediately be reached. Sanchez has, however, received strong support from FIFPro, an international organization that represents professional soccer players around the world. "Macarena is part of a generation of leading women players in South America who are fed up with receiving derisory treatment," FIFPro said in a statement to the AP. "It's unacceptable for soccer clubs and national soccer federations in South America, or anywhere else, to treat women players as second-class citizens with vastly inferior conditions to male players." Argentina's women's national team recently qualified for the World Cup for the first time in 12 years. Sanchez is not likely make the team that is headed to France, and the legal action does not involve the national team. But even the national team's players have struggled financially. They went on strike in 2017 after their stipends of about $10 went unpaid. They also lack proper changing rooms, for a while they trained on a dirt field, and they are often forced to travel long distances to play a game and return on the same day to save on hotel costs. The female players were also angered when Adidas, the brand that sponsors a few members of the national teams of both genders, unveiled the new shirt for last year's Women's Copa America with models rather than players. 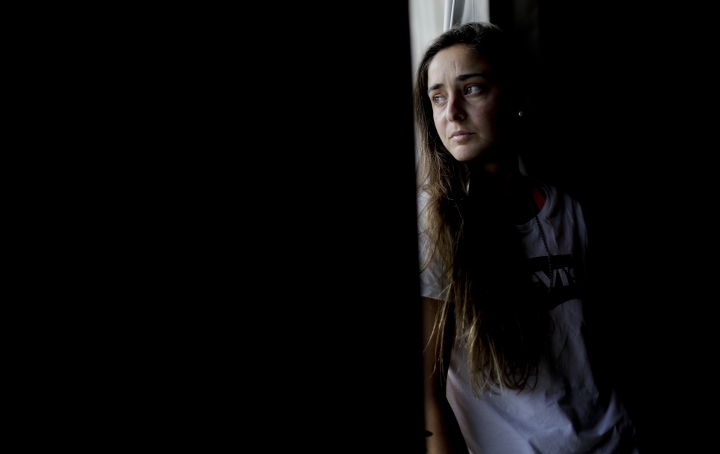 And while the men's Argentine league draws big crowds and makes millions of dollars, a woman at a top club is often forced to split her time between soccer and a second job to survive. 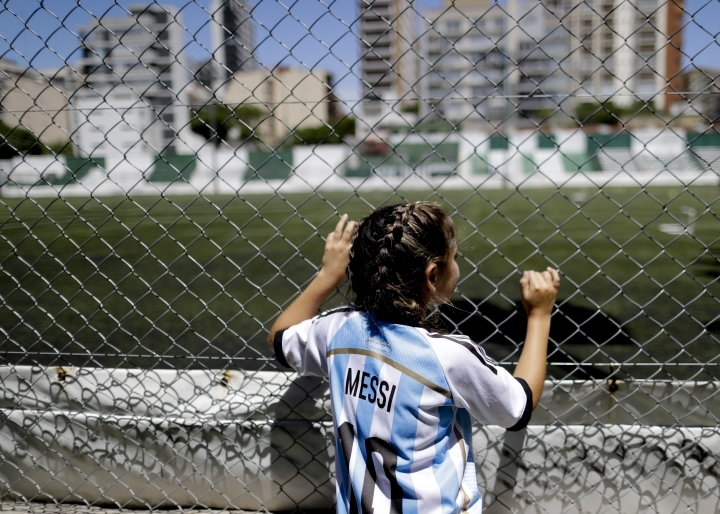 "There is no possibility, no matter how good a woman is in Argentina today, to make a living from it," said Brenda Elsey, a professor at Hofstra University who specializes in the history of soccer politics in Latin America. "I don't think any Argentine player in 1931 (when soccer became professional in the country) felt the same kind of outright hostility and neglect as women players feel today." Elsey, who recently traveled to Argentina to research the issue and has a photo of women playing soccer dating back as far as 1923, pointed to a recent example. When Estudiantes won the league title, she said the Argentine soccer federation forgot to give them the trophy. The players tried to take it in stride, and they celebrated with a plastic jug. The story didn't come as a shock. "Argentina is not an exception to the rule of gender discrimination in Latin America. It's actually quite common," said Elsey, who is also-co-author of "Futbolera: A History of Women and Sports in Latin America." In neighboring Chile, another World Cup qualifier headed to France this year, soccer is also amateur. Coaches have complained that men's clubs affiliated with female teams sometimes won't even lend their counterparts fields for practice and only supply them with one set of shirts. Instead, many top female players head to the United States to play in the NWSL and get paid, while Brazil, Mexico and Colombia are among regional countries that have professional leagues. But there is still prejudice, and ignorance, to overcome. For instance, the president of Colombian club Deportes Tolima, Gabriel Camargo, called women's soccer a "tremendous breeding ground for lesbianism." CONMEBOL, the governing body of South American soccer, is trying to level the playing field. It recently announced that for a men's team to qualify for the Copa Libertadores, it must also have a women's team. The women's version of the event, known as the Copa Libertadores Femenina, has been the premier women's club tournament in the region since 2009. Brazil has dominated the competition, but Atletico Huila won last year. The prize money for the champions was $55,000, and there was some controversy when one of the players said the money would go to the men's team, although the issue was later resolved. There have been some recent improvements in the women's game. Ahead of last year's World Cup qualifying tournament, the Argentine women's team was allowed to train at the same complex where Messi and the rest of the men's team prepare for their games, grounds that until recently were reserved for men only. The team's progress and eventual qualification received the support of Messi and several professional Argentine clubs. 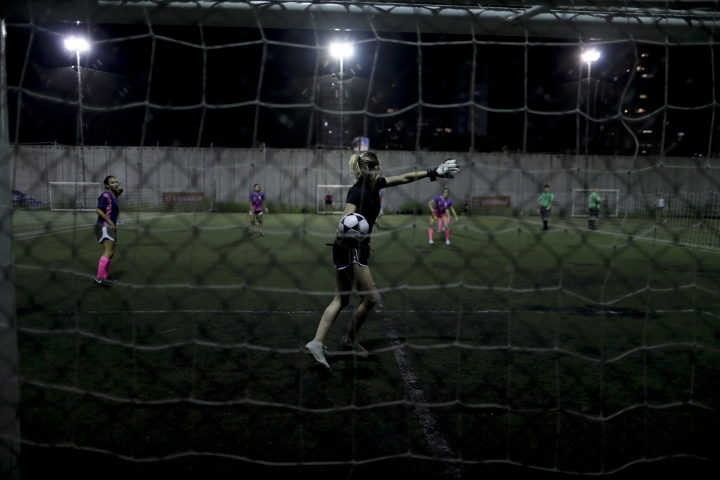 Many female players say they feel part of a cultural change driven by Argentina's strong feminist movement, which has mobilized tens of thousands to fight against violence against women, and helped them gain ground in politics and the workplace. 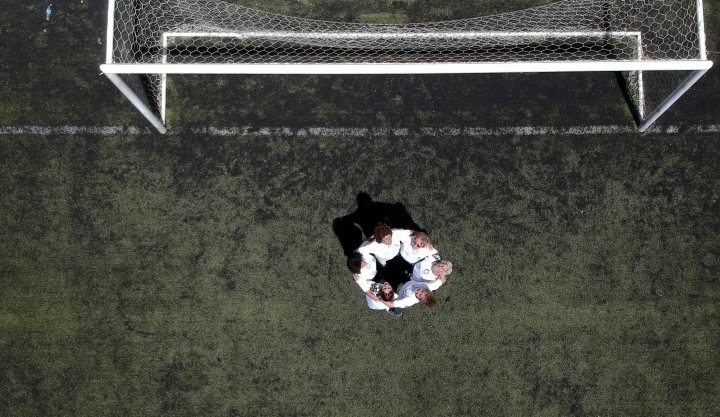 A group of women known as the Pioneers of Argentine Female Soccer recently met at a field in Buenos Aires to kick around the ball and share memories about the challenges they faced playing the sport they love. 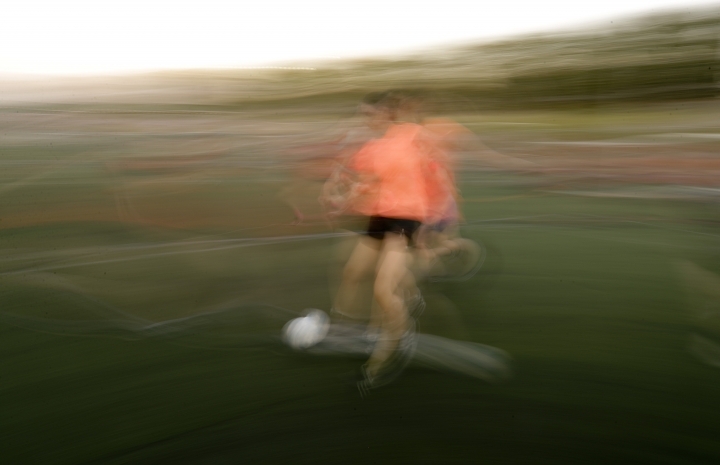 A team of young men clapped when the women began to dribble, juggle and shoot at goal. "Some people would shout at us to go wash dishes," said Elba Selva, who scored four goals in Argentina's 4-1 victory over England at the Azteca Stadium in Mexico City during the 1971 World Cup. "We're so proud to be a part of this now." 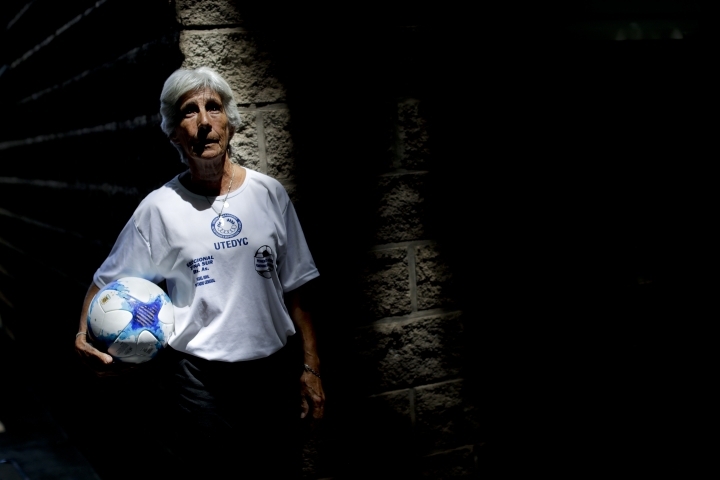 Former goalkeeper Lucila Sandoval founded the group to try to keep the legacy of Argentine women's soccer alive. "For us, who are no longer in the field, and who played with so much love, so much passion for the sport, we want to leave a legacy for these girls as they're fighting for professionalism," she said. "What Maca Sanchez has done is the kickoff in a struggle that has been waging for a long time. "Now, we have internet, Twitter, the media, and all of this makes it much more visible, and I think it will be achieved soon." AP Sports Writer Annie Peterson in Portland, Oregon, and Associated Press reporters Natacha Pisarenko and Yesica Brumec in Buenos Aires, Carlos Rodriguez in Mexico City, Jairo Anchique in Bogota, Colombia, and Eva Vergara in Santiago, Chile, contributed to this report.